A scammer wants to scam lots of people. He scams 2 on the first day. 4 on the second. He scams 8 on the thirty and so on... How many people did he scam on his fifth day? 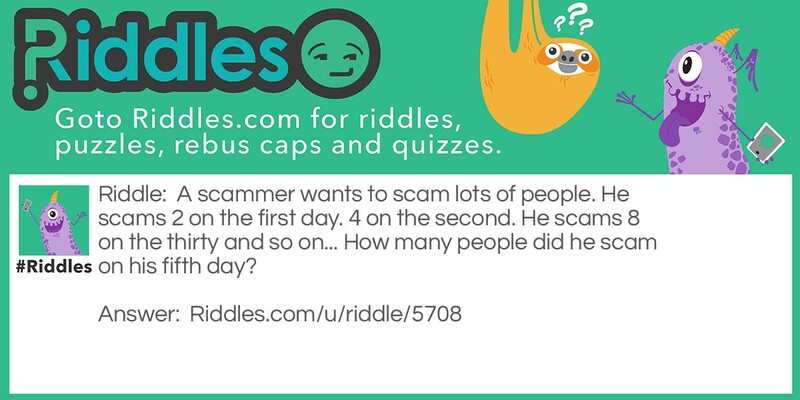 Scamming Guy ( Math question) Riddle Meme with riddle and answer page link.